Viknesh Vijayenthiran October 17, 2018 Comment Now! 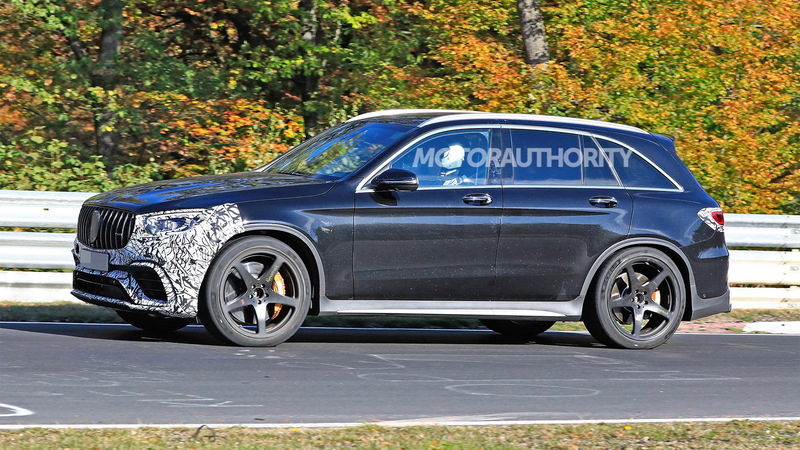 Mercedes-Benz is working on a mid-cycle facelift for its GLC and that means all versions of the small SUV, including those from AMG, will be going under the knife for a bit of refinement. 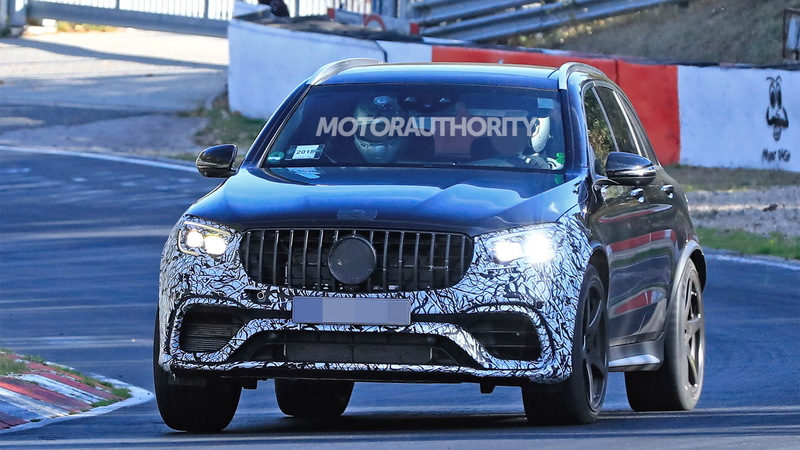 Our latest spy shots show a prototype for AMG's updated GLC63 which should arrive alongside the updated version of the regular GLC in the second half of 2019. 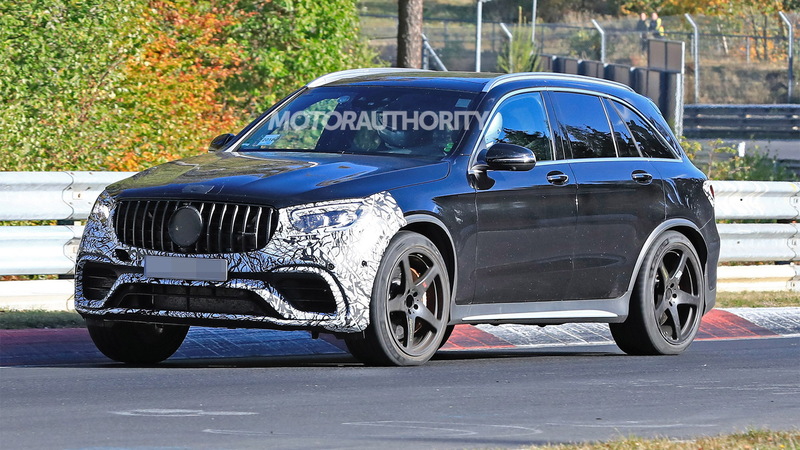 The updated GLC range is expected for the 2020 model year. The current GLC63 was just added for 2018 so we're not expecting any major changes. In fact, the SUV's 4.0-liter twin-turbocharged V-8 should continue with 469 horsepower and 479 pound-feet of torque in standard guise and 503 hp and 516 lb-ft in spicier S guise. 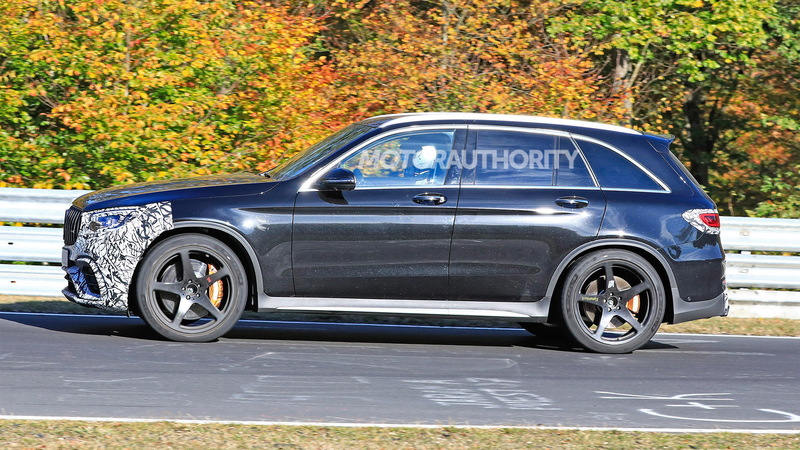 There could be extra fun for buyers of AMG's updated GLC43, though. 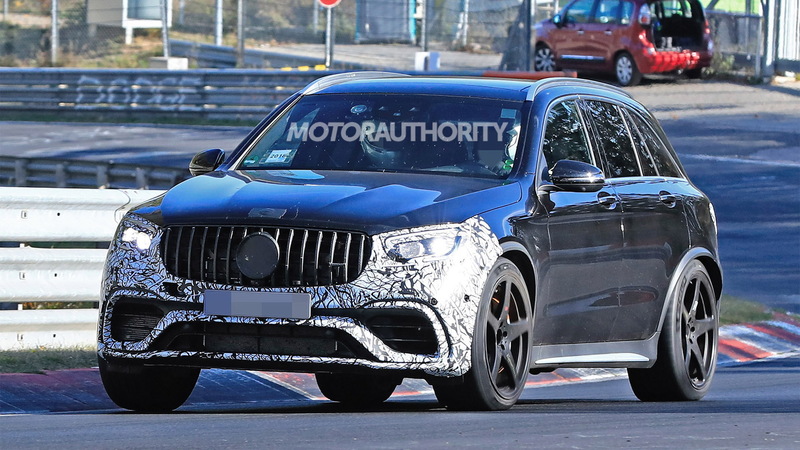 We're expecting output from this model's 3.0-liter twin-turbocharged V-6 to be bumped to 385 hp, up from 362 hp currently, reflecting a similar change in the updated C43. The GLC is an important model for Mercedes. The automaker sold 48,643 of them in the United States last year, so naturally it won't want to rock the boat with this update. We're expecting only minor tweaks to the internals of the lights at both ends and equally minor revisions to the front and rear fascias. The interior is expected to benefit from an updated dash with larger screens for both the instrument cluster and infotainment hub. AMG models will also likely be available with a new data logger for recording track performance.